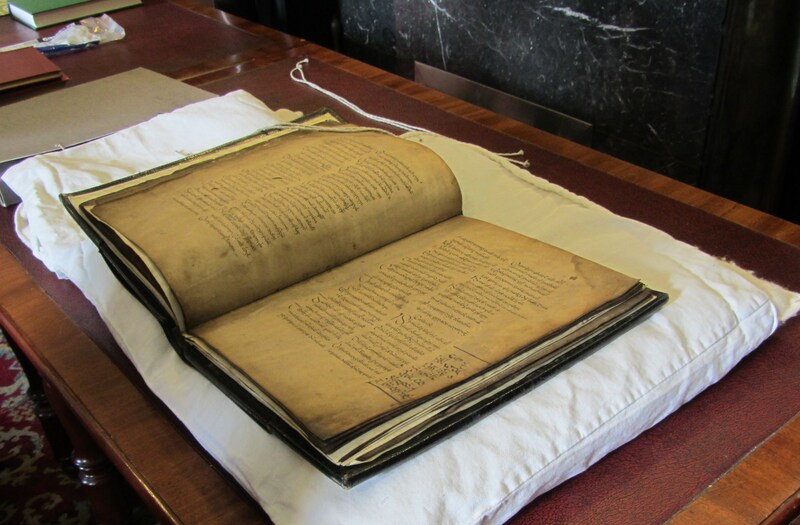 2016 marks the 500th anniversary of the Book of Fenagh. To mark the quincentenary, a series of local and national events have been planned for the August Bank Holiday Weekend (July 29-31st). As part of Heritage Week 2015 and a precursor to this year’s Festival, we organised a lecture entitled “THE HISTORICAL IMPORTANCE OF FENAGH” by Dr Brendan Scott, Lecturer in History, NUI, Maynooth with particular reference to the Book of Fenagh, produced in 1516. If you missed the lecture or want to listen to it again you can LISTEN to a recording by clicking HERE. IRISH TV Channel filmed with us in August during Heritage Week – you can WATCH that episode by clicking HERE. You can click on the links below to read more about the Book of Fenagh. Best of luck with this project. Looking forward to attending. Very interested in next years celebrations, my grandmother is buried at Fenagh Abbey. I shall pray that the celebration will be a success. Please announce dates as soon as you can. I have friends and family who want to attend, and it requires travel over seas, which involve planning. I am so looking forward to seeing the Book, the Abbey, Fenagh Parish, and Muckros (Castlefore). I did a bit of research during my studies on early Saints lives and I have written a poem about the book of Fenagh as I found it a fascinating read! Would you be interested in this poem? If you give me your email add I can send it as an attachment! We would love to receive your poem – please email to fenaghvisitorcentre@gmail.com.